Since 2008, the introduction of mobile money has revolutionized money transfer in Côte d’Ivoire, driven by the major service providers that include mobile network operators Orange, MTN, and Moov. Today the country is one of the fastest growing digital finance markets in the world with more than six million registered mobile money service customers as of 2013. Our project aimed to determine how women's participation contributes to mobile money's success in Côte d'Ivoire. 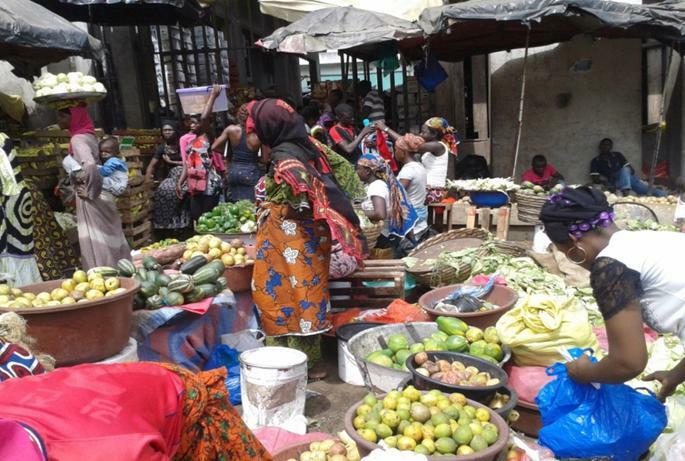 Field research, including surveys and focus group discussions, was carried out in the “Gouro” market, a well-known place at the heart of the commercial market of Adjamé in Abidjan, Côte d'Ivoire's economic capital. The market was created by Gouro women, an ethnic group from the western region of Côte d’Ivoire with large plantain, cassava, tomato, and spice farms. 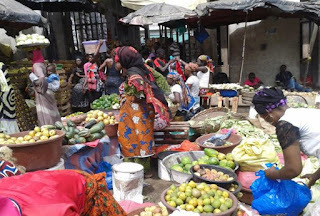 Today, women foodstuff vendors at the Gouro market represent a microcosm of Ivorian women, including the various ethnic groups, different economic statuses, and education levels, etc. High awareness of mobile money. More than 85% of respondents with a mobile phone knew about the existence of mobile money services, mainly through the members of their entourage (parents, friends and colleagues) and via television. Low adoption of mobile money. More than half of the respondents reported that they use mobile money services. However, less than one-third (32.075%) have their own mobile money account (MMA). Recent experience in using mobile money services. As for how long they had been using their MMAs, 41.17% had been using them between one and two years, followed by those who had used accounts for less than six months (35.29%). Education level and perceived ease of use make a difference in the decision to open a mobile money account. The women’s probability of having a MMA is four times greater when they have a primary school education level, and fourteen times greater if they attended secondary school. Women who perceived difficulties in using mobile money services are around nine times less likely to have a MMA when compared to women who perceive mobile money services as easy to use. Perceived ease of use depends on the ability to understand the mobile money platform and code-inputting processes. Most participants considered deposit and transfer operations easy to process since they didn’t require the use of the customer’s phone, in contrast with operations like withdrawal and airtime-purchasing which require entering a code and interacting with the mobile money platform via mobile phone. Wholesaler, 35 years old, animist, no education, married. Constraints related to time and cash have been revealed as the primary disincentive factors of mobile money adoption. Firstly, most of the unbanked participants didn’t find any interest in bank services because of their intensive use of money, and reported not having enough time to manage a bank account given their sales activities. Similarly, discussants with no MMA reported that they were too busy to manage one. Long queues at mobile money agencies and the related loss of time were interpreted as risks, namely of losing money and customers for the women foodstuff vendors. Therefore, mobile money processes appeared inconvenient with the requirements of sales activities. Furthermore, the important need for transactional cash resulting from foodstuff sales activities remains a barrier to the creation of a MMA. We hope that all of these efforts will contribute to making mobile money more transformational by bringing financial services to the largely unbanked population of women in Côte d’Ivoire. Click here for the final report.